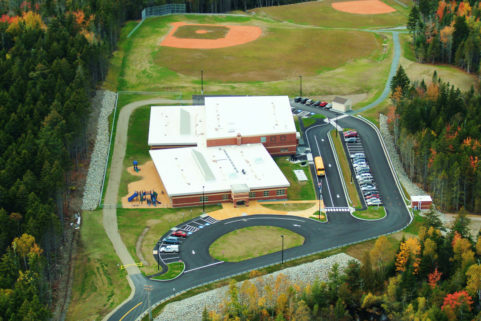 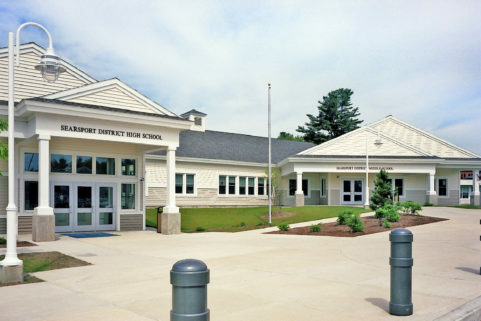 At the outset, school officials wanted to create a school that students loved attending. 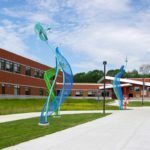 Achieving this goal started with Ocean Avenue Elementary School’s entrance, featuring a playful façade fronting an open arrival plaza. 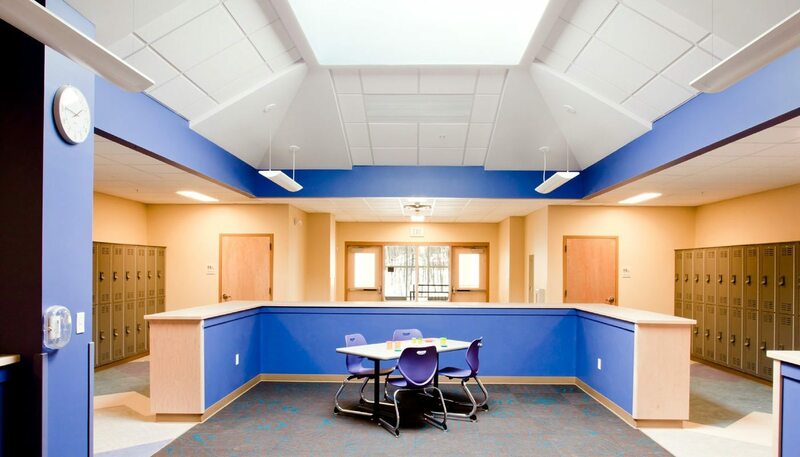 Inside this 70,000 SF school, designed for 440 students, the playful motif continues, as the sloping roof over the cafeteria and lobby complements the geometry of the entry canopy. 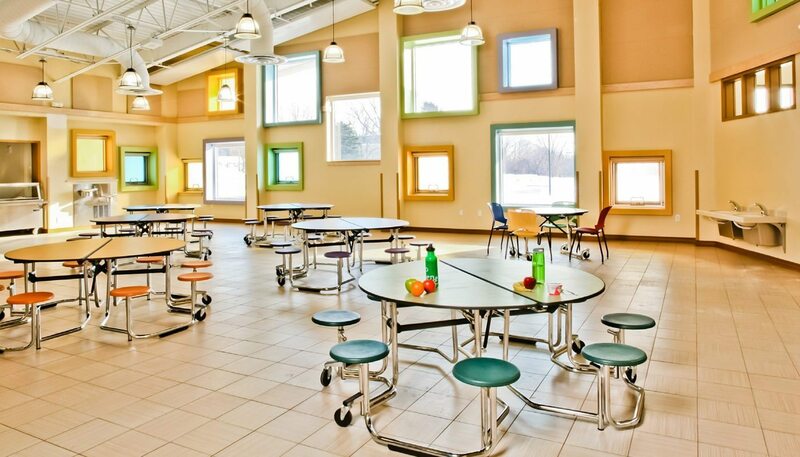 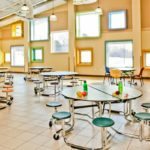 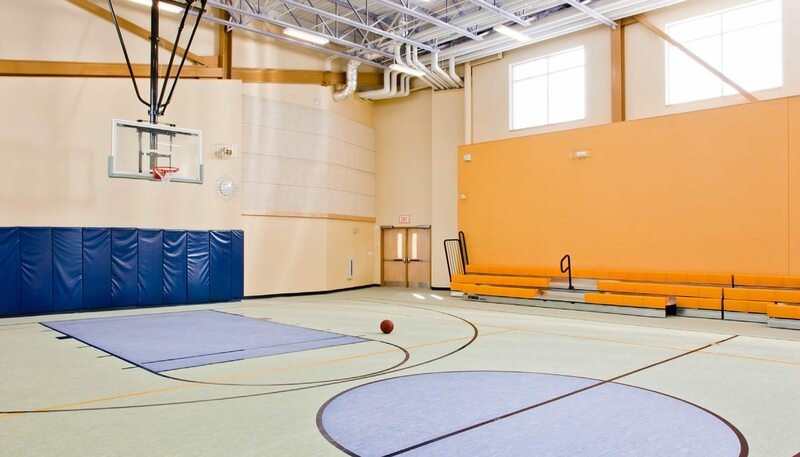 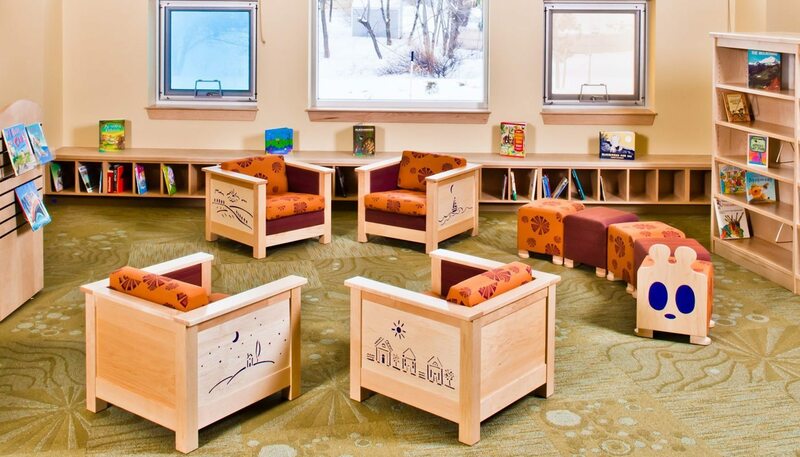 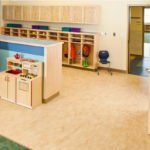 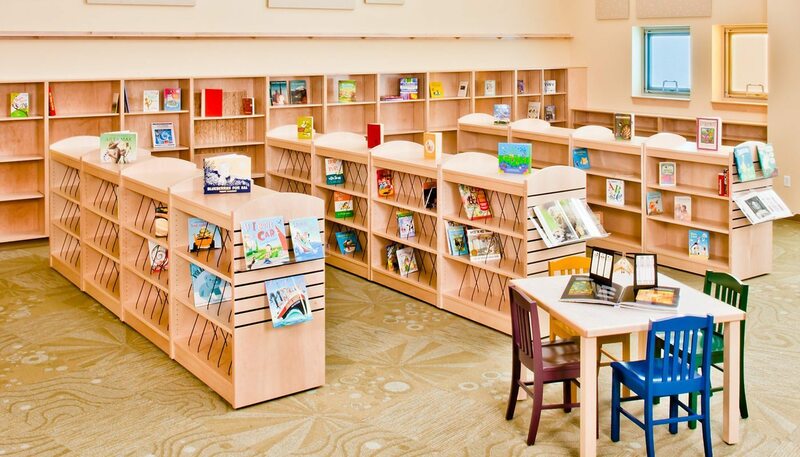 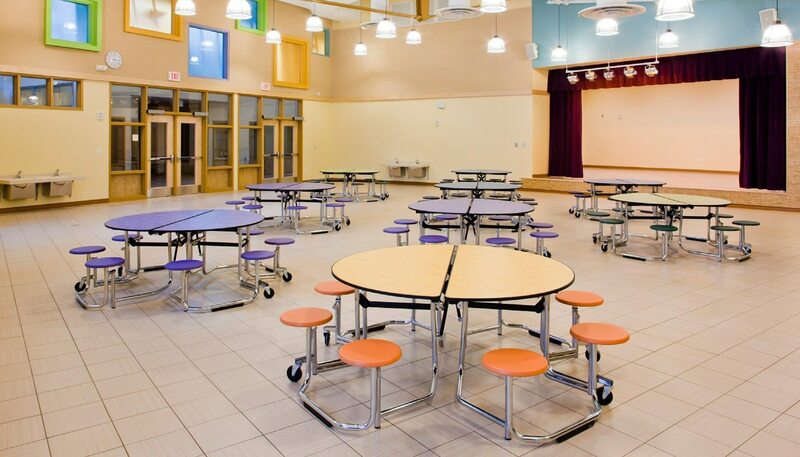 Open space and natural light enhance the school’s role as a safe place for children. 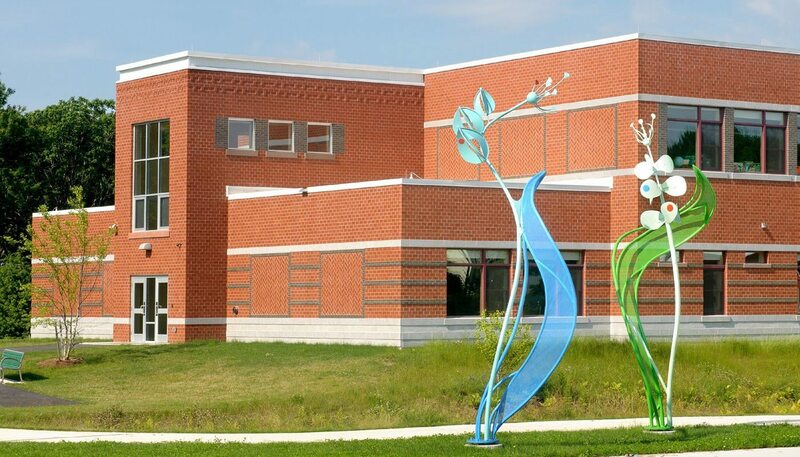 As a welcoming element, the exterior artwork compliments the building aesthetics. 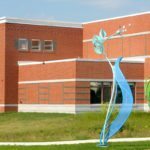 Early involvement with the artist allowed a collaborative approach to meld art, architecture, and landscape. 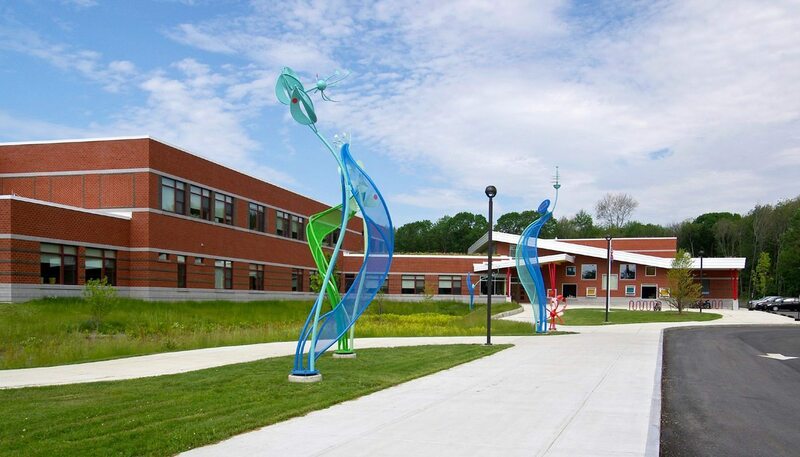 Early coordination of sculpture placement ensured an accessible route was maintained while also being located near students to engage and inspire them on their way to school. 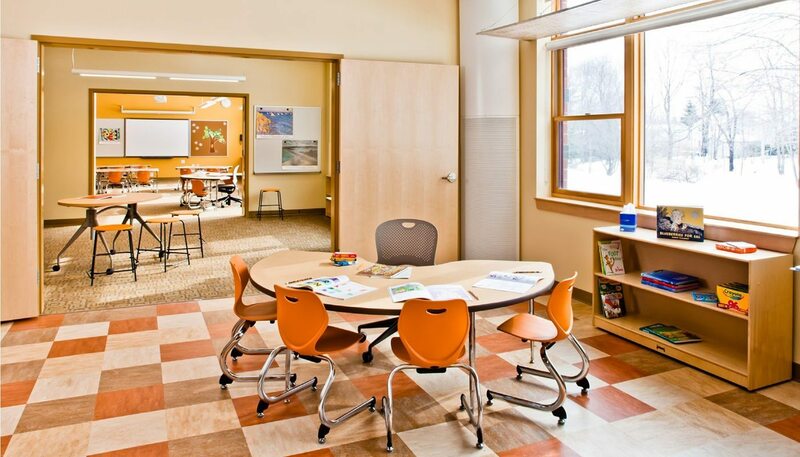 Inside the building, students experience open, flexible spaces. 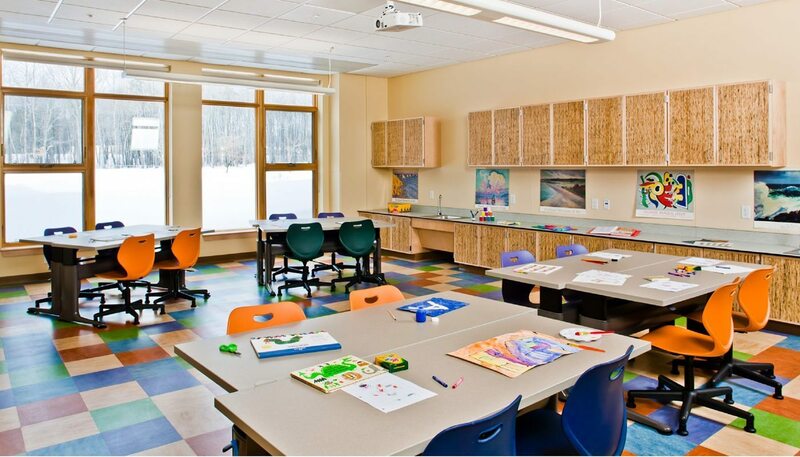 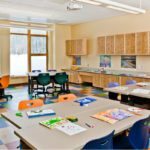 Classrooms offer both large and small instruction spaces, allowing flexibility in teaching methods. 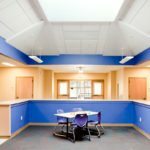 Daylighting has been maximized to enhance student comfort. 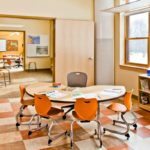 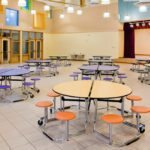 Quiet, low volume mechanical systems offer improved classroom acoustics. 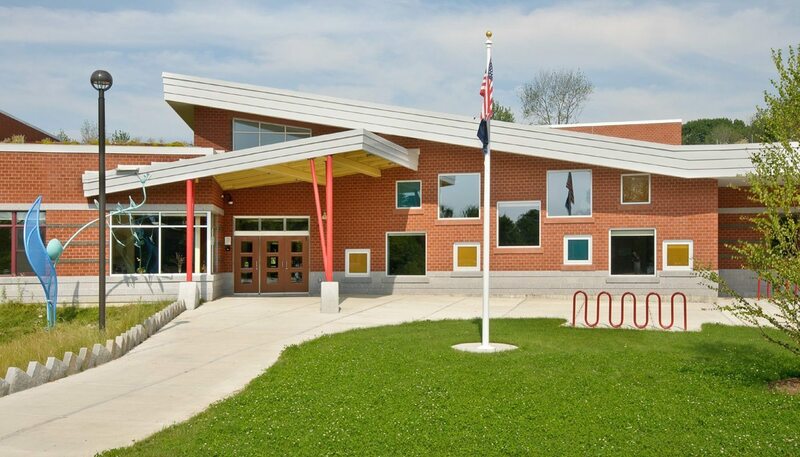 Use of contrasting colors and materials aid in way finding. 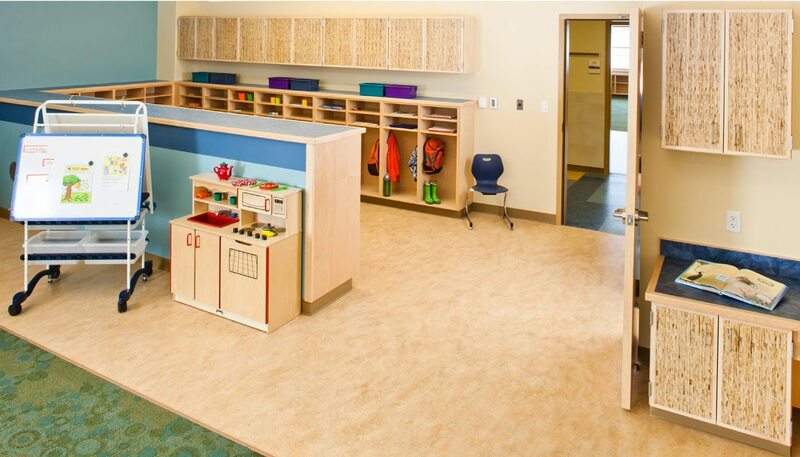 The curious hands of children meet tactile, decorative wall tiles as they move through the corridors. 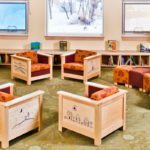 Another goal was to link the interiors with the outdoors. 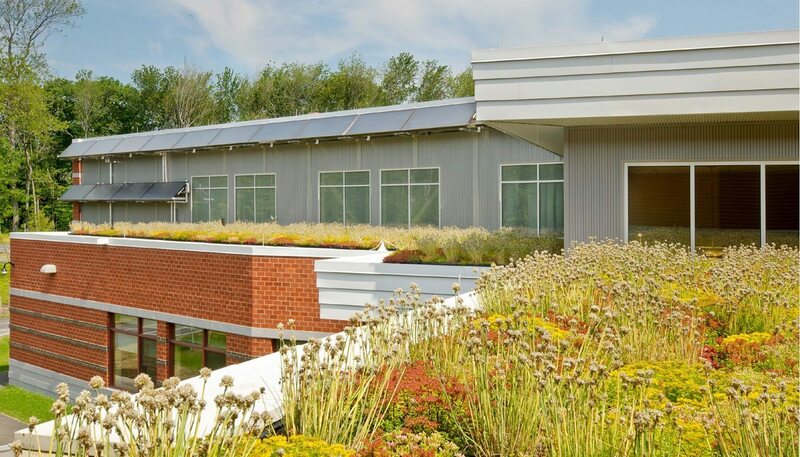 Classrooms feature large windows looking out on the woods, wetlands, and bio-retention beds, creating a visual lesson in sustainable features. 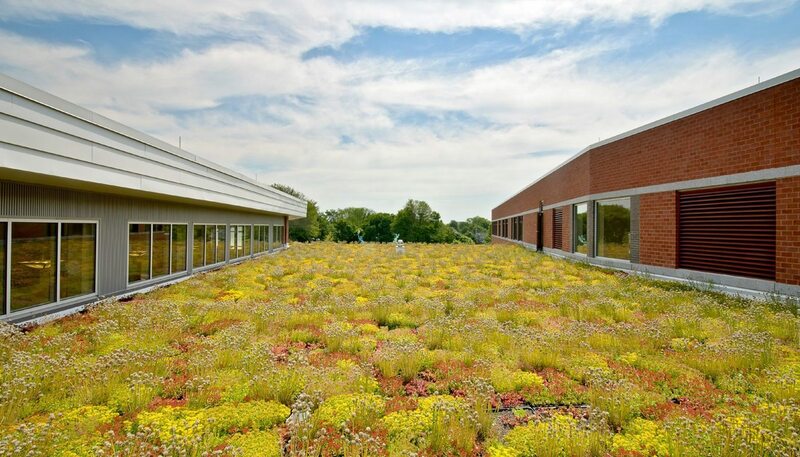 Common spaces, such as the library, integrate low window sills for capturing views of the surrounding wooded site and green roof. 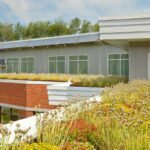 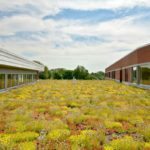 Stormwater runoff from the site is attenuated through the use of six rain gardens and a 10,000 SF vegetated roof, more lessons in sustainability. 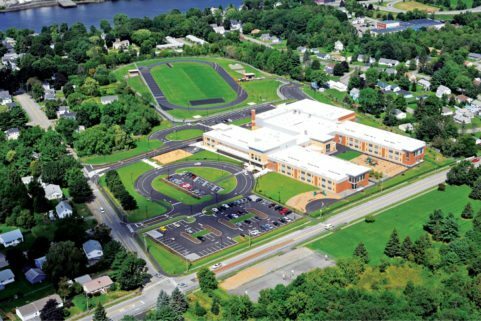 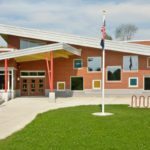 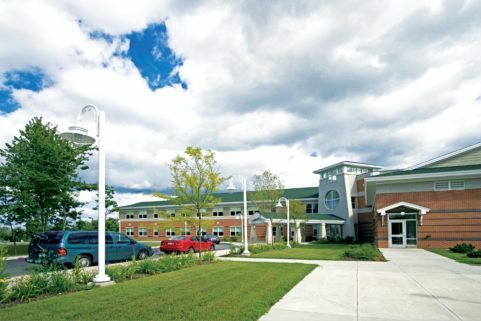 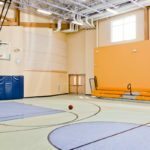 These design decisions make Ocean Avenue Elementary School eligible to achieve LEED for Schools Silver certification. 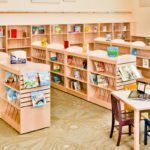 The result is a unique, sustainable, safe space for creative minds that is minutes from downtown Portland.